Carlos Miguel Prieto, considered one of the most dynamic young conductors in recent years, has further widened his exposure by accepting a total of four music directorships in his native Mexico and the United States. He was named music director of the Orquesta Sinfonica Nacional de Mexico (National Symphony Orchestra of Mexico), Mexico’s most important orchestra, in July 2007, and remains music director at his other Mexican orchestra, the Orquesta Mineria. In the US, he enters his third season as music director of the Louisiana Philharmonic, where he leads the cultural renewal of ravaged New Orleans, and continues to serve as music director of the Huntsville Symphony (Alabama). Prieto has made guest appearances with numerous North American orchestras such as the Dallas Symphony, Houston Symphony, Phoenix Symphony, Florida Philharmonic, San Antonio Symphony, Calgary Philharmonic, Dayton Philharmonic, and every major orchestra in Mexico. He has also conducted orchestras throughout Europe, Russia, Israel, and Latin America, notably his recent Teatro Colon debut in Buenos Aires, his Netherlands Radio Orchestra debut in Utrecht, and performances with the Philharmonia of the Nations. Prieto’s 2008/09 season is another banner year, full of important debuts and re-engagements in the US. During the summer, he made his first appearance with the Chicago Symphony and later with the Boston Symphony at the Tanglewood Festival, with Yo-Yo Ma as soloist. He also debuts with the Vancouver Symphony, New Jersey Symphony and Monterey Symphony, and returns to the Indianapolis Symphony, New Mexico Symphony, and Pacific Symphony. 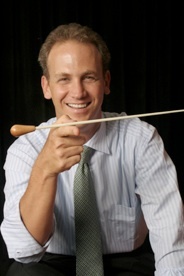 During the 2007-08 season, Prieto was re-invited to the Milwaukee Symphony, and conducted several concerts with the Houston Symphony, Pacific Symphony, Colorado Symphony and Honolulu Symphony. In 2006-07 he gave his debut with the Milwaukee Symphony, Omaha Symphony and the symphonies of New Mexico and Nashville. He also appeared with the Dayton Philharmonic, Naples Philharmonic, and the Columbus Symphony Orchestra and returned again to the Houston Symphony and Louisville Orchestra. Overseas, Prieto made his Budapest Symphony debut at the Franz Liszt Academy in February 2007, the first time ever an all-Mexican program was performed in Hungary. Later that year he was also Mexico’s delegate to the Davos World Economic Forum. During his tenure with the Mexico City Philharmonic from 1998 to 2002, Prieto conducted over 100 concerts ranging from classical subscription to educational and popular concerts. A champion of contemporary music, Prieto has conducted over 50 world premieres of works by Mexican and American composers, many of which were commissioned by him. Exemplifying Prieto’s commitment to education, he has conducted the Youth Orchestra of the Americas since its inception in 2002. He has performed with this enthusiastic ensemble at the United Nations and the Kennedy Center, and has toured throughout South America and Mexico. He was voted “Conductor of the Year 2002” by the Mexican Union of Music and Theater Critics, and in 1998 he received the Mozart Medal of Honor presented by the Government of Mexico and the Embassy of Austria. He has recently made a series of recordings of Latin American and Mexican music for the Urtext label.